Another beautiful sunny day in London, we're starting to get used to this! Today we went to the park and brought a football with us. We are loving having our own garden, but it doesn't quite compare to having a huge park to ruin around in. All that space to really run and kick the ball is great for Ethan's Physical Development, and also great for Ivy to get some fresh air and watch her brother run around. 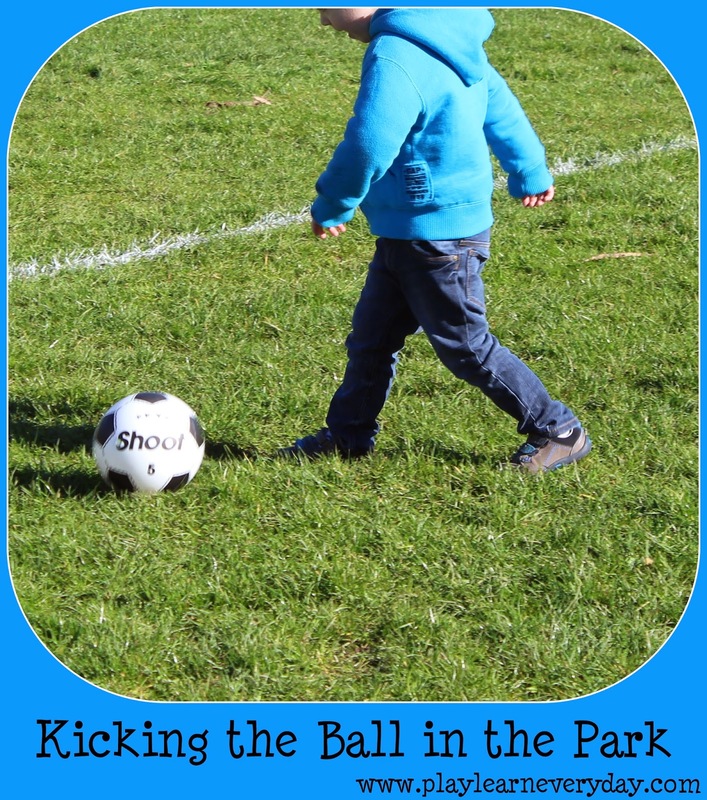 It really does make a big difference being in the park, Ethan's been kicking he ball around the garden for weeks, but through the winter we hadn't really brought a ball to the park. Then today we were really able to see how much Ethan's kicking has improved. His coordination is better, he connects with the ball every time. His endurance is also better, he ran around after the ball for ages without getting tired. It's so great that we're getting this nice weather and we'll be able to do this more.